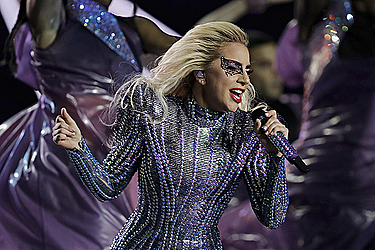 NEW YORK (AP) — Lady Gaga, a longtime supporter of gay rights, says pride weekend is a time to shine a light on equality. "This weekend is a time for us all to reflect on the importance of tolerance and the importance of bravery and kindness, (and) the importance of us supporting one another," the pop star said in an interview with The Associated Press on Friday. The pride parade in New York City, Gaga's hometown, kicks off Sunday. Gaga said she's touched to witness the "beautiful pride that I see so many of friends and the LGBTQ community have." "It's a beautiful pride that we all should be in awe of," she added. Sunday's parade in Manhattan, which starts on Fifth Avenue, ends in the West Village.